Vicki Traino, PR director for The Folio Society, made the transatlantic voyage from London to Manhattan last month, only to be greeted by a winter nor’easter rather than springtime blossoms. No matter, Traino was in town to talk about forthcoming publications from Folio, a welcome harbinger of a warmer season. “Our spring lineup touches on themes of exploration and adventure, with a good dash of whimsy as well,” Traino explained. Indeed, the London-based publisher’s spring offerings include Peter Matthiessen’s The Snow Leopard, Niall Ferguson’s Empire: How Britain Made the Modern World, and a fresh translation of Japanese folk and fairy tales. Matthiessen’s 320-page opus won two National Book Awards--one in 1979 for Contemporary Thought, and the nonfiction prize in 1980 in its paperback form. The wilderness traveler, naturalist, co-founder of The Paris Review, and former CIA agent chronicles his quest through the Himalayas for the elusive snow leopard. “Our edition is gorgeous,” said Traino, and it’s hard to disagree--the spot-varnished cloth hardcover conceals printed map endpapers and twenty pages of color plates, including dozens of previously unpublished photographs taken during the Tibetan trek. Empire: How Britain Made the Modern World doesn’t shy away from making a statement--Ferguson’s sweeping account the British Empire’s ushering in of the modern era was a lightning rod for controversy when it was first published in 2002, and the 2018 reissue won’t easily fade into the background, either; the Union Jack-red cloth cover is stamped with a hand-glued printed letterpress front-board by British printmaker Peter Chasseaud. If these titles aren’t enough, don’t fret: summer’s catalog will be on its way soon. Vicki Traino, PR director for The Folio Society, made the transatlantic voyage from London to Manhattan last month, only to be greeted by a winter nor'easter rather than springtime blossoms. No matter, Traino was in town to talk about forthcoming publications from Folio, a welcome harbinger of a warmer season. "Our spring lineup touches on themes of exploration and adventure, with a good dash of whimsy as well," Traino explained. Indeed, the London-based publisher's spring offerings include Peter Matthiessen's The Snow Leopard, Niall Ferguson's Empire: How Britain Made the Modern World, and a fresh translation of Japanese folk and fairy tales. Matthiessen's 320-page opus won two National Book Awards--one in 1979 for Contemporary Thought, and the nonfiction prize in 1980 in its paperback form. 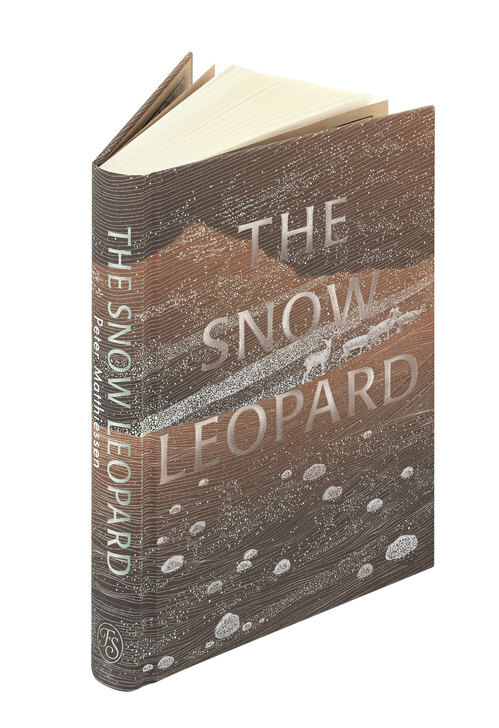 The wilderness traveler, naturalist, co-founder of The Paris Review, and former CIA agent chronicles his quest through the Himalayas for the elusive snow leopard. 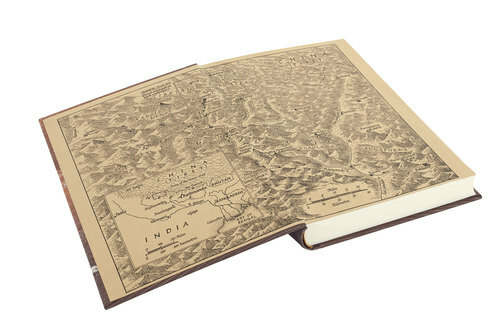 "Our edition is gorgeous," said Traino, and it's hard to disagree--the spot-varnished cloth hardcover conceals printed map endpapers and twenty pages of color plates, including dozens of previously unpublished photographs taken during the Tibetan trek. 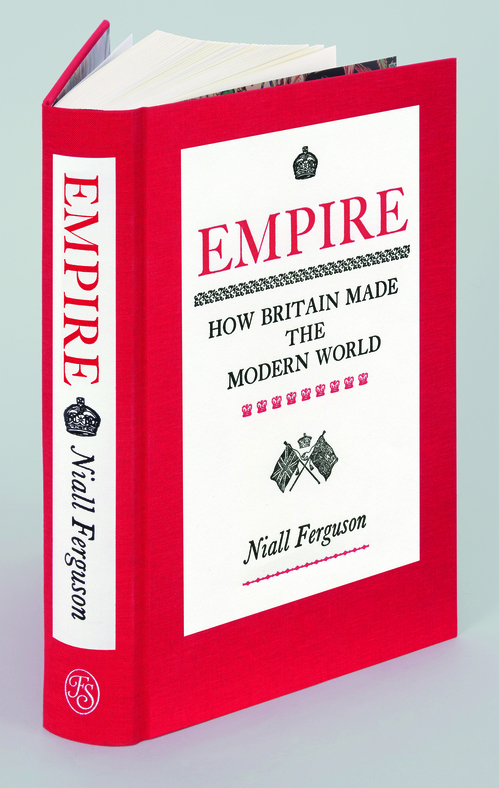 Empire: How Britain Made the Modern World doesn't shy away from making a statement--Ferguson's sweeping account the British Empire's ushering in of the modern era was a lightning rod for controversy when it was first published in 2002, and the 2018 reissue won't easily fade into the background, either; the Union Jack-red cloth cover is stamped with a hand-glued printed letterpress front-board by British printmaker Peter Chasseaud. If these titles aren't enough, don't fret: summer's catalog will be on its way soon.